The City of Fort Worth, TX, a long-time customer of Flowbird’s Parkeon brand products, has recently amended their service contract to include Flowbird’s Cale MAX Single/Dual Space Meter. This addition is the first dual contract of its kind, thanks to the recent merge of parking and transit leaders, Parkeon and Cale, allowing the new combined company to offer both product lines for customer convenience and ease. Installation of 57 Flowbird Cale MAX Meters will begin in early July of this year. The installation comes with an additional 19 of Flowbird’s Parkeon Strada Kiosks. Both meter types will address the issue of Fort Worth’s recent expansion along the West 7th District, an entertainment and residential region, that hold both large and small areas for parking. The City was looking for a single/dual space meter solution that also integrated with existing back office systems. The solution needed to be compatible with remote programming changes, including rate adjustments and download functionality across all units within the West 7th Urban Village Core. By adding the single-space MAX meters, the city is now in the process of reducing operation and maintenance process time. The Cale Max single and dual space meter is solar powered and comes with an extended battery life. It accepts coins, credit/debit cards and is compatible with mobile app payment. The original Parkeon contract was amended to include Cale Max Single/Dual Space Meters on January 19th, 2018. Installation of the meters will be completed by September 15, 2018. Parkeon and Cale have merged to create Flowbird, the world’s leading parking services, and urban mobility company. 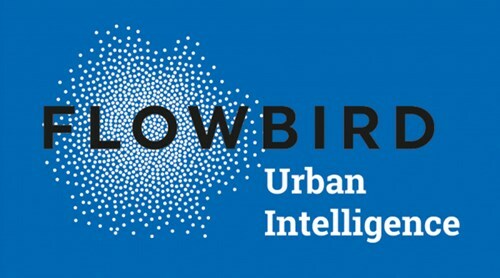 The name Flowbird expresses the innate ability of birds to navigate individually within crowded spaces; mirroring the benefits for people of the intelligent parking and multi-modal systems developed for towns and cities by Parkeon and Cale. Flowbird’s group resources include 500 R&D engineers working on behalf of customers to push the boundaries of innovation in transportation hardware, software, sensor systems, machine-learning and AI, information security and mobile development.